Tinder Gold, which lets you see who has liked you, launches today in U.S.As Rafiki once said, "It is time." Tinder Gold, the dating app's new premium subscription tier (which includes a feature that lets you see who's already liked you without any swiping) is finally rolling out to the U.S. Tinder Gold and Likes You were originally tested in Argentina, Australia, Canada and Mexico at the end of June. Tinder Gold, which lets you pay to see who swiped right on you, arrives in the USTinder Gold, a paid tier of the dating app, is coming to the US after months of testing in limited markets including Canada, United Kingdom, Mexico, and Germany. In the US, the paid subscription will be available for select iOS users starting today. Tinder Gold gave me 3,000 more date options than I could deal withWhen Tinder released its upgraded, pay-for-perks version to iOS users, it was an immediate success. 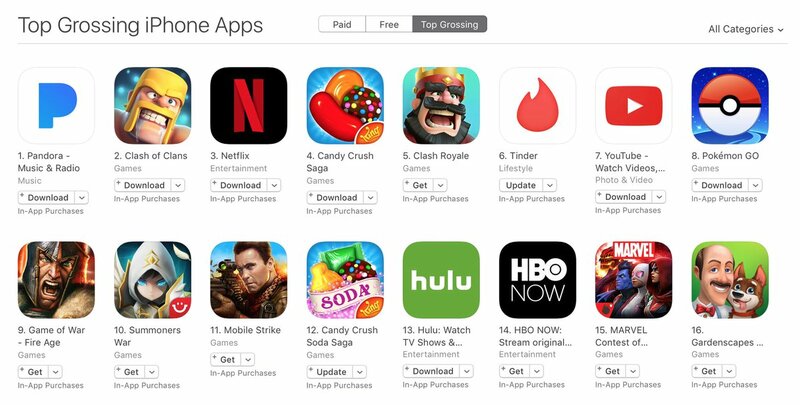 Tinder Gold shot to the number one spot in the top-grossing iOS apps within a single day; even today, more than two weeks later, it's only dropped to number two. Would you recommend Tinder Gold to a friend? Every time Tinder releases a new feature I think they're done milking the product for cash... and then this happens. @juanbuis would rather see revenue generated from things that people want like seeing people who like you vs ads! Alessandro Schiassi@alessandro_schiassi · CEO & Founder at Magnetic Field, Inc.
@valereonmobile This is a Platinum upgrade. @valereonmobile I've noticed that some users don't have their location, which means they have Tinder Plus, not sure if Tinder Gold will have something similar. @bentossell I'll save you the IAP: I like you.